If you’re going to eat meat, it’s best to know its backstory. Nunn has worked as a chef for around 20 years. 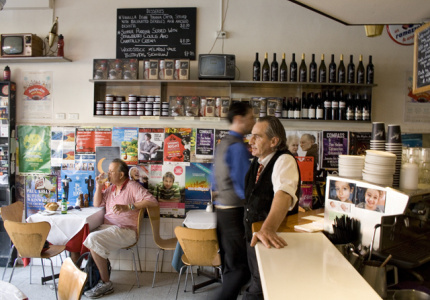 He started out as an apprentice at Marios in The Continental, and worked at Grossi Florentino. It was there he began to pay more attention to regionality, and the concept of no-waste cooking. After Grossi Florentino, Nunn spent almost five years cooking in the UK, absorbing techniques, ideas and principles from each experience that continue to inform his methods today. It took a few years for Nunn to make the transition to full-time meatsmith, but he knew meat suppliers would play an integral role in his own practice. He also knew that he would return to his hometown of Ballarat, and make it a base for Salt Kitchen, which has just hit its one-year mark. 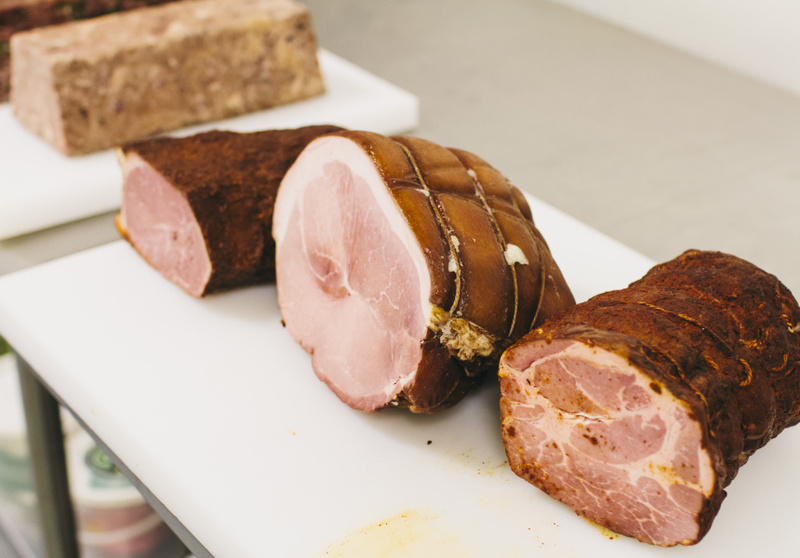 At Western Plains Pork, in nearby Rokewood, owners Tim and Judy Croagh have set aside a paddock specifically for Nunn’s pigs, growing them out to 120 kilograms – almost double the standard size – to ensure the appropriate fat and muscle structure for the charcuterie Nunn makes. Nunn turns the head into fromage de tete (“head cheese”, a type of cold cut); the shoulders into sausages and Pâté de Campagne (a terrine); the ribs into American-style short racks; the belly into streaky bacon; loin into a maple-cured bacon; the back legs into hams; and the trotters and hocks into jambon persille (ham hocks simmered in white wine). He also sends the trim and fat to Casa Iberica to make the traditional saucisson (thick, dry-cured sausage) Nunn learned to do during his Gascon training. Nunn has plans to install a dry-curing room at Salt Kitchen, which will allow him to expand into pancetta, prosciutto and bresaola. 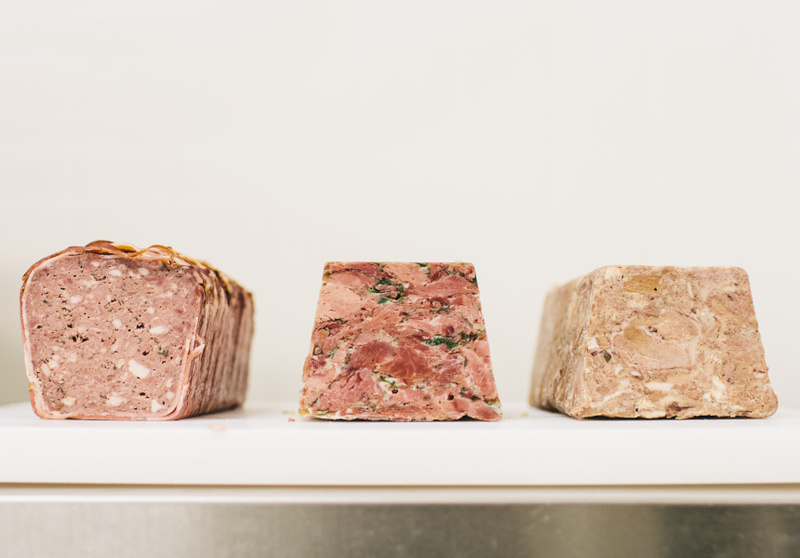 His aim is to develop charcuterie from western Victorian produce that rivals the time-tested, tradition-rich imports from Europe. To try some of Nunn’s handiwork in Ballarat, sample the maple-cured and streaky bacons on the aptly named “The Bacon” pizza at The Forge, and head to The Mallow to try his coppacola on a charcuterie board with d’affinois cheese, grilled peach and ciabatta. For supplies of Nunn’s bacon to take home, go to Wilsons Fruit and Vegetables on Mair Street. Nunn will also host the first in a series of Sunday roasts in Ballarat, held at Housey Housey – The Forge’s new function space – on weekends throughout winter. Presented by Broadsheet in partnership with Visit Ballarat, each event will host a different chef showcasing the incredible harvests coming out of this fertile region. See below for details. Dish: Rib of grass fed Sage Choice beef, dripping potatoes, maple roast parsnips, Yorkshire pudding, oxtail jus and horseradish cream. Ticket price $40, including glass of wine, beer or soft drink. Dish: Slow-roasted Glen Greenock Lamb, creamy clay pot potatoes, sherry roasted root vegetables, golden nuggets, confit garlic, Summerfield Shiraz and lamb jus. Produce: Crown roast of Tarna Valley free range pork, apple stuffing, salty black bean sauce and Mt Egerton winter vegetables. Produce: Porchetta of Western Plains Pork, duck fat potatoes and orbs of joy. This article presented in partnership with Visit Ballarat.